The gut-mind relationship is currently undergoing a renaissance. In the past decade, biomedical science has been drawing increasingly compelling links between mental health and the gastrointestinal tract. Conditions such as Irritable Bowel Syndrome are being linked to mental illness, and it is understood that stress, anxiety and depression can all produce gastrointestinal symptoms. Research into the gut microbiome has revealed the presence of over 30 neurotransmitters in the digestive tract, and 95 per cent of the body’s serotonin – a major mood regulating chemical – resides in the bowels. 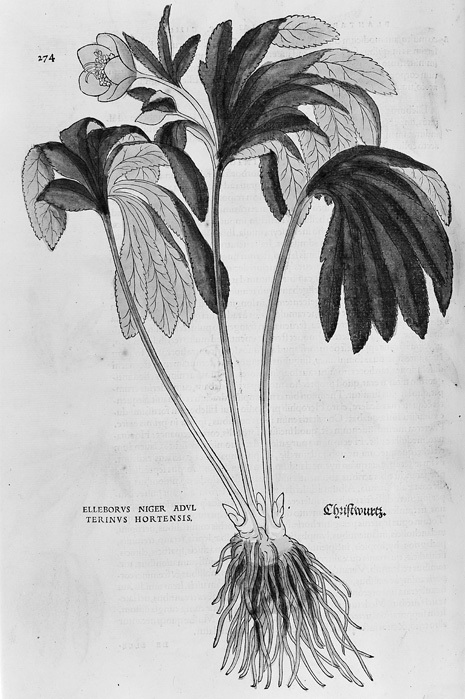 Woodcut of black hellebore, the root of which was used from antiquity to treat disorders of the mind by violently purging the bowels. EPB/2438/D: Leonhard Fuchs, De historia stirpium … (Basel: In officina Isingriniana, 1542), page 274. 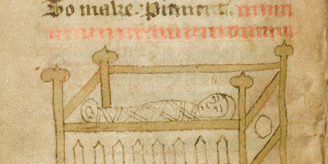 Wellcome Images M0016725. It has also been shown that the large intestine contains its own ecosystem of around 100 trillion microbes, responsible for the production and regulation of these neurotransmitters, and highly sensitive to changes in diet, environment and cognitive functioning. These discoveries offer ground-breaking new evidence that our emotions, our thoughts, and even our identities could be shaped in the twists and turns of the gut. The idea of a gut-mind connection is far from new. Prior to the 19th century, it was not uncommon for individuals suffering from emotional distress coupled with gastrointestinal symptoms to be diagnosed with ‘hypochondriack melancholy’, a disorder straddling the modern rift between mental and physical illness. The term ‘hypochondria’ literally means ‘beneath the ribs’, reflecting the ancient Greek belief that mental disorder could proceed from an excess of black bile in the organs of digestion. 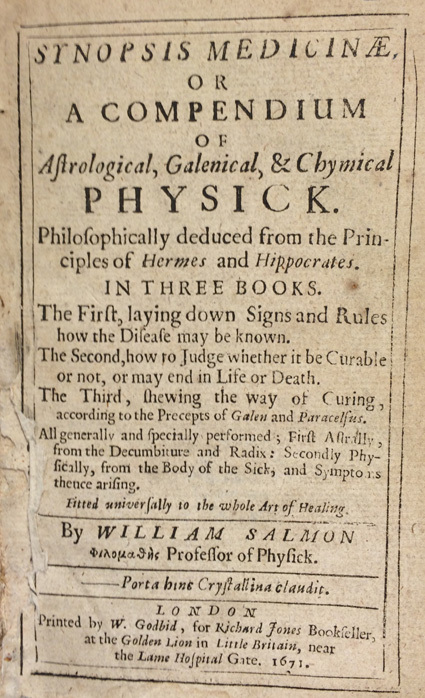 Title-page of EPB/45799/A: William Salmon, Synopsis medicinae; or, A compendium of astrological, Galenical, & chymical physick (London: Printed by W. Godbid, for Richard Jones, 1671). Image credit: Elma Brenner. Melancholia Hypocondriaca, is caused either from Meats of melancholick Juyce, Sadness, Crudities, or much Study, Idleness, Watching, or Stoppage of the Terms or Hemorrhoids: there is Rawness, Windiness, sharp Belchings, Burning and Pain of the Stomach and Sides, which are plucked upward, and sometimes inflamed, the Belly is bound, little Sleep, troublesome Dreams, with universal melancholy Disposition. There is in the Pipe of the Artery of the Stomach, a vital Faculty of the Soul, for the inbeaming of Rayes of Light into the Heart, so long as it is in a good state, but when through Passions and Disorders it behaveth it self rashly, or amiss, then presently Heart-burning, Fainting, Giddiness of the Head, Appoplexes, Epilexsies, Drousie-Evils, Watchings, Madnesses, Head-akes, Convultions, &c. … are sturred up … and since that Alienation of mind chiefly proceeds from irreguler desire, it may rationally be concluded, that the Prime local Spring, or Seed of Madness is in or near the stomach. Tryon was drawing on the ideas of the Dutch physician Jan Baptist Van Helmont (1580–1644), who had courted controversy in both medical and theological circles by arguing that the human soul was situated, not in the brain or heart, but in the pylorus, where the stomach opens into the small intestine. Helmontian medicine was distinctive for its explicit attempts to renegotiate the relationship between gut and mind in medicine and philosophy, but was ultimately overtaken by the ideas of Descartes and Thomas Willis, both of whom placed the human soul and seat of cognition squarely in the brain. In every case, the Hebrew term translated as ‘bowels’ in the King James Bible is substituted for a less visceral alternative in the 2011 translation. Moreover, the Hebrew term itself literally refers to the ‘internal organs, inward parts (intestines, bowels), belly’, making the 1611 translation the more accurate of the two. The disembowelment of the Bible can be seen as reflecting the deep discomfort we still feel towards our ‘lower parts’, and our reluctance to give them their due place in the dialogue around mental health and emotion. In psychology and medicine, too, the silencing of the bowels might well be due to a collective anxiety about the inherent messiness of our inner workings. As well as potentially broadening the range of treatment options available for those suffering from mental disorders, perhaps our rediscovery of the gut-mind connection is also an important step towards overcoming the stigma surrounding mental illness. Fay Bound Alberti, This mortal coil: the human body in history and culture (Oxford: Oxford University Press, 2016). Cultures of the abdomen: diet, digestion, and fat in the modern world, ed. Christopher E. Forth and Ana Carden-Coyne (New York: Palgrave Macmillan, 2005). Michael C. Schoenfeldt, Bodies and selves in early modern England: physiology and inwardness in Spenser, Shakespeare, Herbert, and Milton (Cambridge: Cambridge University Press, 1999). Michael Walkden is a PhD candidate at the University of York, funded by the White Rose College of the Arts and Humanities. His research, ‘The gut-mind connection in early modern medicine and culture, c. 1580–c. 1740’, explores the ways in which emotions and identities interacted symbolically and physiologically with the digestive system in early modernity. He recently completed a placement with the Wellcome Library, working on early modern printed medical texts. The 1689 work by Thomas Tryon cited in this article is available in full for free from the Oxford Text Archive at http://ota.ox.ac.uk/tcp/headers/A63/A63817.html. 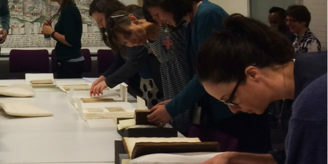 There appears to be many other works there relevant to this topic for anyone to explore, thanks to the ‘Early English Books Online’ digitization project. Try searching for ‘Helmont’.